Yuuzoo break above resistance, sign of trend change? Yuuzoo, previously know as W corp, according to our system it has been going downtrend since July 2014, despite the good news of Yuuzoo taking over the company, the price still hit resistance an make a lower low. 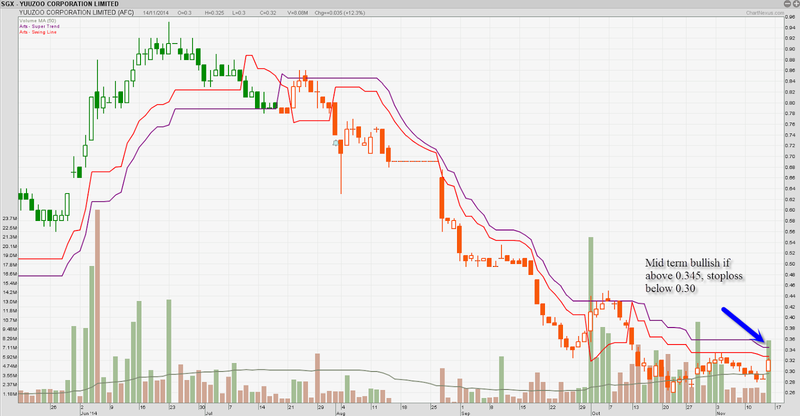 After consolidating for the past 2 week, we see positive price movement last friday and today. Our chart indicate that if price break above 0.345, there might be a change in trend from downtrend to uptrend. If the price fall back to below 0.30, that is where we think downtrend might continue(cut your losses). Below is some of the information/story of Yuuzoo, the first social media company listed in SGX.